Looks like Nokia 8 is really going to be the HMD Global Oy's Nokia flagship smartphone this time around, it was previously rumored to be called Nokia 9 that was to helm super high end specs, but recent leaks and speculations are now leading us to this Nokia 8. And this most recent leaked photo here is courtesy of Evan Blass (aka @evleaks) of VentureBeat giving us full-blown look at the Nokia 8, which I think is a gorgeous device both back and front. And as previously reported around the web, it is wielding dual-camera set up on the back which is both to sport 13MP lenses with Carl Zeiss optics accompanied. 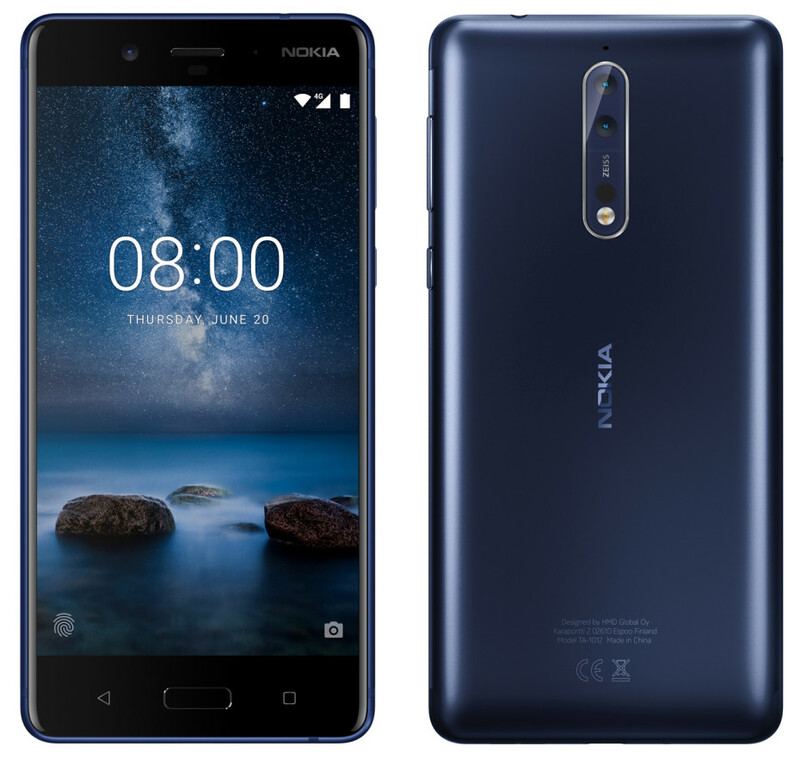 HMD Global recently announced renewed partnership with Carl Zeiss for the upcoming Nokia phones, and this device appears to be the first to be equipped with the camera technology. The Nokia 8 is expected to be running on the latest and pure version of Android 7.1.1 OS right out of the box, while embedded in its core is the most recent Snapdragon 835 processor from Qualcomm with either 4GB or 6GB of RAM alongside it. Storage wise, there could be an expandable 64GB on-board space. According to rumors, HMD Global Oy will formally launch this device on July 31, 2017.